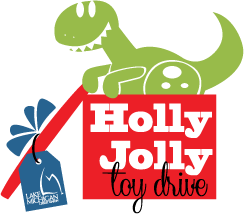 We’ll begin taking donations for our Holly Jolly Toy Drive on November 23 at all LMCU branches. Appropriate recipient organizations will be selected regionally, and will include local children’s hospitals and schools where the need is greatest. If you’d like to help make the holidays a bit brighter, bring any new, unwrapped toys to any of our branch locations.